Jennifer Davi “Opening Doors for You” at Owen & Co., LLC. Jennifer Davi is a Member of the National Association of Realtors, Top producer in 2009 and 2012 and Jennifer has been a Realtor on the Gulf Coast since 2007. She became a Realtor because she finds joy in helping people. 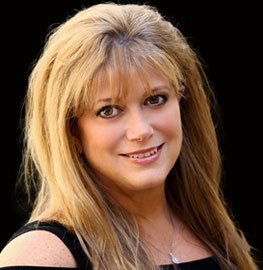 Jennifer Davi specializes in both commercial and residential properties in cities along the Gulf Coast, including Gulfport, Biloxi, Ocean Springs,, Bay St. Louis, Pass Christian, Long Beach, D’Iberville. Jennifer Davi maintains a strong knowledge of what’s available in the area and how much properties in the community are selling for. Prices can vary greatly, depending on quality allow Jennifer to guide you through the options. Her broad knowledge and experience of the market have helped many of her clients meet their needs, whether buying or selling real estate. She owns several restaurants with Rob Stinson here on the coast; a very successful Reef Restaurant located on the Beach in Biloxi, MS, Beach Bums located on the beach in Biloxi, MS, Baja Tex Mex located on the Beach in Biloxi, MS. The Lookout Steakhouse located in downtown Gulfport, MS, Kelly’s Sports Pub located in downtown Gulfport, MS. Jennifer Davi also owns Sapphire Homes and is in partnership with Jason Garner. Sapphire Homes builds all the vertical components for all the restaurants that Jennifer and Rob have built and own on the Gulf Coast. Additionally, they have been successful home builders that have generated in the last 3 years approximately 9 million dollars in sales revenue for Sapphire Homes. She also has owned 2 successful storage facilities one in Pearl, MS and the other in Biloxi, MS. The Storage Facility in Pearl, MS. Jennifer purchased and was able to stabilize and bring back up to market rate and then she sold it with a 30% return. The storage facility she purchased in Biloxi was named Climate Safe. Jennifer’s expertise is to find business’ that are undervalued, bring them up to market rate, and turn them around for a profit. Jennifer Davi also a licensed Uhaul Dealer, Jennifer Davi also owns a mobile pet grooming business in Orange County CA OC Barks and Bubbles. She is still currently owner and very involved in her Coffee Shop, PJ’s Coffee, located in downtown Gulfport which she has owned for almost 9 years. Jennifer Davi is actively involved in the Catholic Church. She loves to run and keep active. She grew up Skiing and is looking forward to teaching her children. She enjoys cooking homemade dinners for her family, her motto is a family that eats together- stays together! She credits all that she has to her relationship with Jesus.